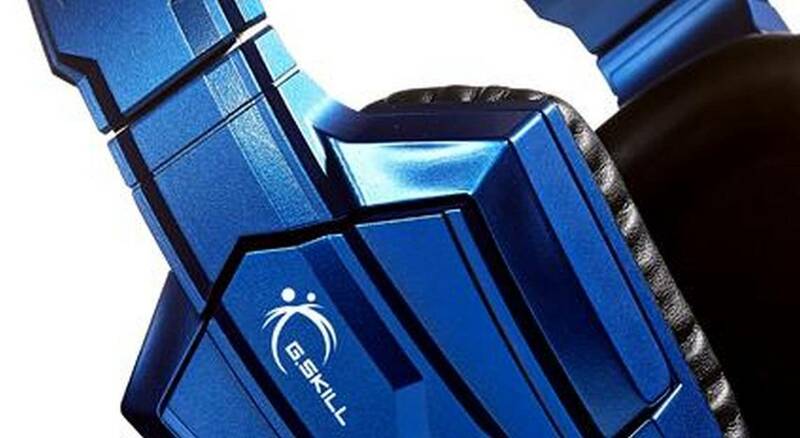 G.Skill is planning on some new moves of its own this year at COMPUTEX 2013 in Taipei. They are planning a big reveal of their new G.Skill headsets which they promise will be something to talk about. This follows a trend in recent years that sees companies branching out from their core product category into more diversified ones. Unfortunately for us, they are not talking about it until after the reveal today so check back with us for an update. The only thing I can comment on for sure is that the headset is very blue. But that could be one of many colors they plan to unveil. G.Skill promises this headset will have "industry-first features (and) built to provide gamers with enhanced competitiveness and unique gaming experiences." That's a lot to promise for a headset. Since the show official starts today, we expect G.Skill will be giving full details to everyone at once. We'll pass on what we learn ASAP. G.SKILL To Announce Brand New Gaming Gear at Computex 2013! 27th May, 2013 - G.SKILL International Co. Ltd., the worldwide leading high performance memory designer and manufacturer, will be making a strong entrance in the field of PC gaming peripherals with newly engineered gaming headsets. G.SKILL will be debuting gaming headsets with various industry-first features; it is built to provide gamers with enhanced competitiveness and unique gaming experiences. Along with G.SKILL’s persistence on creating products of the highest quality and cutting-edge designs, the new headsets are set to satisfy all kinds of gaming needs. Detailed specifications and pricing will be released after the debut.